PezCycling News - What's Cool In Road Cycling : EUROTRASH News Round Up Thursday! EUROTRASH News Round Up Thursday! It has been an up-and-down few days for the Deceuninck - Quick-Step team in the Vuelta a San Juan: Alaphilippe leads - Keisse expelled. Race news from Argentina and Australia and the Keisse case is Top Story. 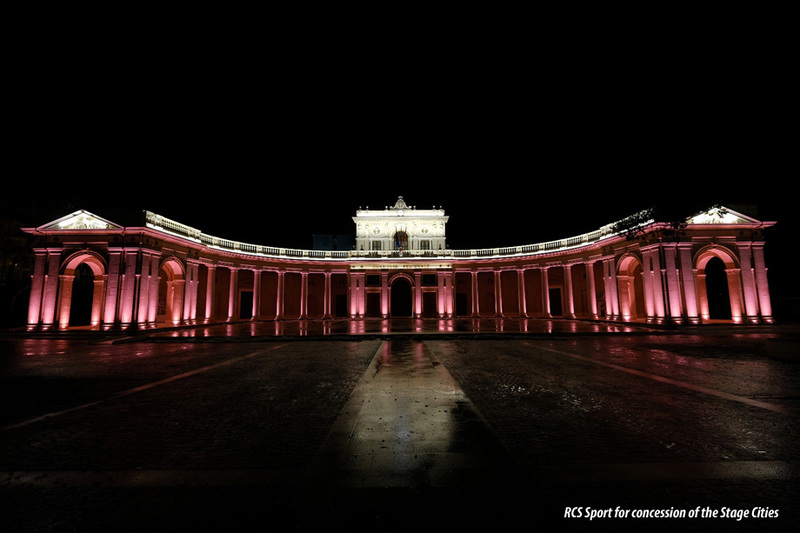 Lots of cycling news to catch up with: Remco Evenepoel makes his mark, team news for the Challenge Mallorca, 2019 UAE Tour teams, Critérium du Dauphiné 2019, teams for the Tour of the Alps, cities turn pink for the Giro and Dimension Data launch podcast. EuroTrash Thursday time! 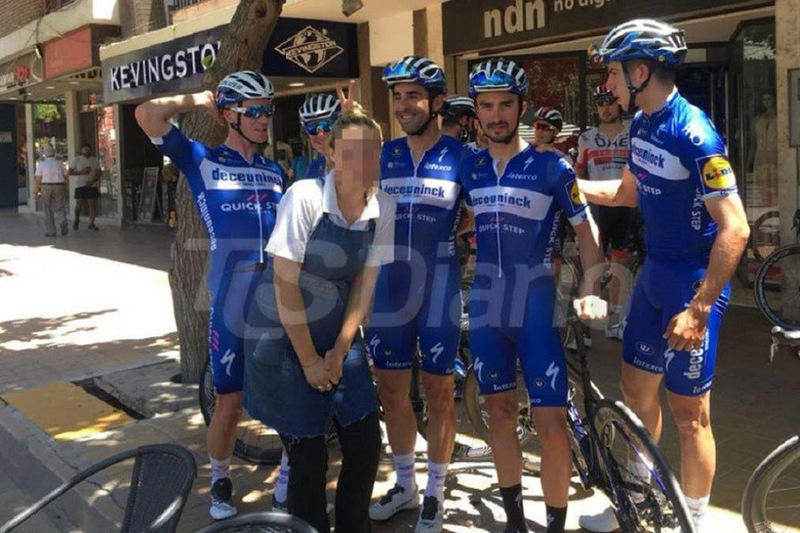 A woman filed a complaint against the Deceuninck - Quick-Step rider Iljo Keisse after the start of stage 2 of the Vuelta a San Juan. "I hope he will be punished," the woman told Telesol. The woman, who was at work in a café, wanted a photo with the team. Keisse, who thought he was being funny, stood behind her (see photo below). "I thought it was a joke, but then I realized what had happened. I was very angry and I went to the police to file a complaint." She continued: "I asked for a photo and they did not respect me. They must not think that they can come to another country to treat women as things, as something unimportant and worthless. I have already spoken with my lawyers to see what we are doing. My partner has seen the situation and he is a witness." Keisse apologized on Twitter for his behavior. "I want to apologize to everybody for the gesture during a photo taken this week. I didn’t want to offend anybody and I deeply regret it. I know I’ve made a mistake but I’m not a disrespectful person. I’m really sorry." Keisse was charged by the police and found guilty by a local judge and fined approximately $80 US. 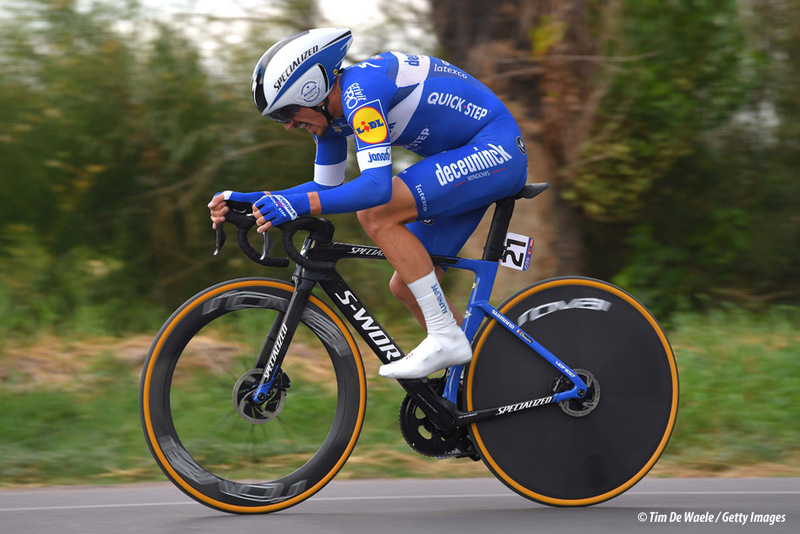 The Deceuninck - Quick-Step rider started the stage 3 individual time trial, but the organization told him he was disqualified. "Keisse has shown behavior that damages the image and pride of the Vuelta a San Juan, the UCI and cycling in general," the organization said in a press release. Earlier, the organization asked the Deceuninck - Quick-Step team to take action against Keisse and punish him. But because the Belgian carried on in the race, the organization decided to take matters into their own hands. "Women need to feel safe on the streets, be happy at work and be happy at home. Things have changed in the social field. This kind of sexist jokes and macho behavior are no longer tolerable," local judge Enrique Matter told Telesoldiario. Keisse had apologized to the woman and again later at a special press conference. He explained to Het Laatste Nieuws: "We were drinking a coffee with the team in the busy main street of San Juan on one of the terraces. After three quarters of an hour we paid, we offered a tip and the waitress asked for a photo. A normal picture, like 1,500 are taken every day. The lady in question asked for a second, where she leaned forward and I stood behind her with my hand behind my head, in a foolish moment. Not my best joke ever, I admit. But I swear: I did not touch that woman. Not with my hand, not with my knees or with any part of the body. It was very busy, enough people who can confirm that. Again: my sincere apologies." Team boss Patrick Lefevere threatened to take his riders out of the Vuelta a San Juan after the disqualification of Iljo Keisse, but the Deceuninck - Quick-Step riders were at the start of stage 4. Lefevere, who is not present at the race, said to Het Laatste Nieuws: "If it depends on me, the whole team would be out of the Vuelta a San Juan. We will look at what the UCI regulations say and then we will quickly decide whether we will start later or not." The Belgian found the punishment of his rider far too heavy. "Of course I am not content with the pose of Iljo. That is wrong and he knows that himself. But he has paid eighty US dollars fine and the police have closed the case. And yet that woman continues to make a game about it. She will want money, right?" The Deceuninck-Quick Step riders did not appear at the podium ceremony after stage 4 on Wednesday. Three riders should have appeared on the podium: Julian Alaphilippe as overall leader, Remco Evenepoel as the best young rider and Álvaro José Hodeg third on the stage. They also didn't speak to the press after the finish. "The past few days have been difficult for the team. The riders did not feel well during the race, so we decided today not to go to the podium," said the team press officer to Het Laatste Nieuws. "It was a decision at the last minute. It seemed better for the riders to quickly recover and be ready for tomorrow. It is understandable that the riders did not feel well. There has been the whole situation with Iljo. That has had an effect on the team." Wether the team will appear on the podium in the coming days is not yet known. 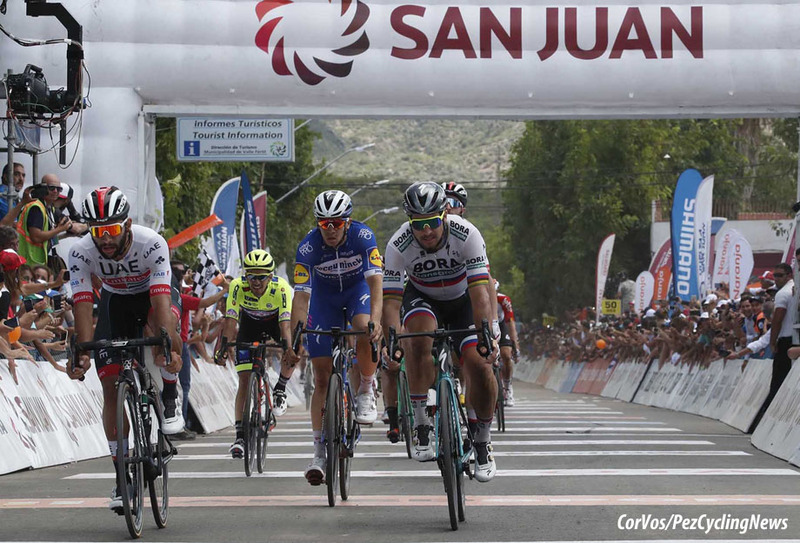 Julian Alaphilippe (Deceuninck - Quick-Step) won Stage 2 of the Vuelta a San Juan on Monday. The Frenchman crossed the line solo after a late attack, holding off a group of strong sprinters. Simone Consonni (UAE Team Emirates) was second, ahead of Peter Sagan (Bora-Hansgrohe). Fernando Gaviria (UAE Team Emirates) finished in the peloton and held his overall leader. The stage start was delayed by half hour due to the temperatures and shortened by 28 kilometers. Overall leader, Fernando Gaviria won the first intermediate sprint and took a 3 second bonus. The break of the day formed after 18 kilometers: Hamish Schreurs (Israel Cycling Academy), André Eduardo Gohr (Brazil), Edison Bravo (Chile) and Miguel Alvárez (Mexico) and took a maximum lead of 4 minutes. The peloton managed to keep the break under control on the hilly course, with four of the San Juan River dam. Schreurs eventually escaped with one climb of the Punta Negra Dam to go. Deceuninck - Quick-Step and Bora-Hansgrohe lifted the speed and Schreurs was caught 9 kilometers from the finish. Movistar's Colombian climbers; Nairo Quintana and Winner Anacona came to the front on the final climb. The first split came 2 kilometers from the line with Alaphilippe, Tiesj Benoot (Lotto Soudal) and Quintana. The Frenchman then went solo when the other two couldn't follow. Bora-Hansgrohe tried to pull Alaphilippe back for Sagan, but Remco Evenepoel obstructed the chase for his teammate. The young Evenepoel took the best young rider's jersey. Jelle Wallays (Lotto Soudal) crashed during the finale of the second stage. Unfortunately, the rider has suffered a facial trauma. He lost one tooth and broke another one, he also has a cut in the upper lip and a fracture in the upper jaw. Due to a concussion, the rider spent the night in an Argentinean hospital for observation. Stage winner and 2nd overall, Julian Alaphilippe (Deceuninck - Quick-Step): "The entire team did a great job and I was motivated in the finale, but when I attacked I never imagined I would finish alone, so I must say I surprised myself with this victory. I am happy and proud to get the win, which only serves as confirmation of all the hard work I put in during last winter. It is always important to start the season on the right foot, as it gives you a nice feeling and confidence. It’s true that I took ten bonus seconds today, but the GC wasn’t my goal when I arrived here, as I was just thinking of getting a stage victory. Of course, I will try to do a good time trial and continue to take things day by day and see where this leads at the end of the week." 2nd on the stage and 3rd overall, Simone Consonni (UAE Team Emirates): "I came to Argentina with a good amount of work in my legs, partly thanks to the Bremen Six Days. We are here to give the best for Fernando, who I began to know in the team camp and is a true star. The stage today was the only one where, given the profile, I could have my chance for a good result. I spoke with Fernando and he gave me my freedom. I held it well on the hard part of the climb, I was good to wait until the last 300 meters when the riders ahead of me took off and I could take advantage of the slipstream. I launched myself and took this good podium finish." 3rd on the stage and4th overall, Peter Sagan (Bora-Hansgrohe): "We had another hot stage at the Vuelta San Juan but the clouds over the finish area made it a bit easier for us. Again, the whole team did an excellent job, they set a strong pace at the front and controlled the race. In the final kilometers when Alaphilippe attacked there wasn't a lot of cooperation in the chasing group and we weren't able to close the gap. The finish was very close but Alaphilippe held on and won. My form is progressing the way it should this time of the year, so all is good and we'll keep fighting every day." 10. Hideto Nakane (Jpn) Nippo Vinia-Fantini-Faiz. 10. Laureano Rosas (Arg) Asociacon Civil Mardan. 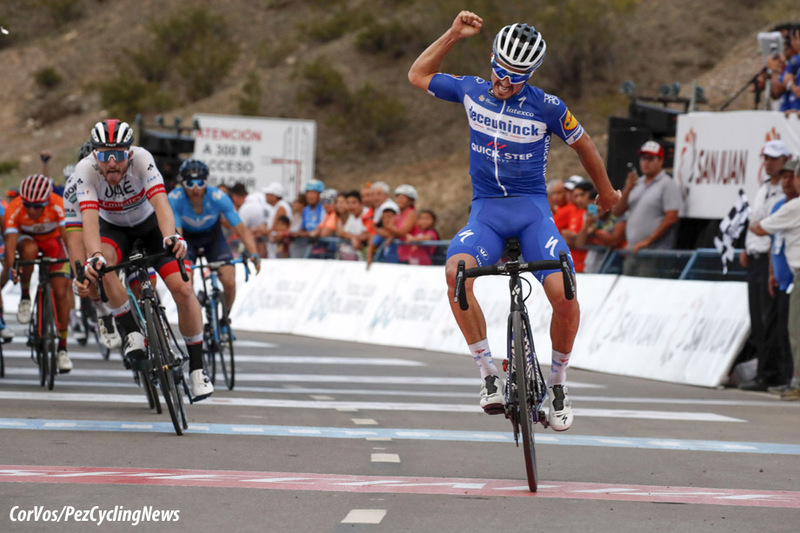 Two stages in a row for Julian Alaphilippe (Deceuninck - Quick-Step) as he won the Stage 3 time trail of the Vuelta a San Juan. The Frenchman was by far the strongest in the 12 kilometer individual time trial that started and finished in Pocito. Alaphilippe's young teammate, Remco Evenepoel, finished 3rd behind Valerio Conti (UAE Team Emirates) to move into 4th place overall. Alaphilippe took the lead on GC from Fernando Gaviria (UAE Team Emirates) who finished 6th. The first serious time came from Matthias Brändle (Israel Cycling Academy). The Austrian, who held the world hour record for a short time in 2017, finished in a time of 14:18. Half an hour later Tom Bohli (UAE Team Emirates) took 21 seconds off Brändle's time to take the hot seat. Felix Großschartner (Bora-Hansgrohe) was next to take the lead with 13:57. The 19-year-old Remco Evenepoel (Deceuninck - Quick-Step) looked to have taken his first Pro win with the fastest lap time and a finishing time of 13:53. Conti and Alaphilippe bettered the young Belgian, with Alaphilippe taking a double stage success and the overall lead. Gaviria, who started last, rode a strong time trial to finished 6th at 21 seconds, dropping to 2nd overall at 18 seconds. Stage winner and overall leader, Julian Alaphilippe (Deceuninck - Quick-Step): "I always want to win and to be at a top level, it’s my mentality and that of the team. I knew the time trial wasn’t going to be easy, but I had precious info from Remco, who completed the stage before me, and this helped me as I rode full gas. I came here very motivated, but the victory surprised me, just like the one of yesterday. It’s true that I now have the leader’s jersey, but there are many riders who can do something on Alto del Colorado, which will be the decisive stage. For my part, I will continue to take it one step at a time and ride without pressure, just as I have done until now." 2nd on the stage and 3rd overall, Valerio Conti (UAE Team Emirates): "I believed in it, but I came across one of the strongest riders in the world over short and powerful stages. Alaphilippe is taking advantage of very good form at the moment, I can only compliment him on his win today. Regarding my ride, I gave it the best I had and I used my head more than my legs. I managed it well thanks to the advice of our Sports Director Simone Pedrazzini and General Manager Matxin. In the first part of the course, the wind was coming from the front and I thought to defend myself to use my energy the best as possible for the final, when it was possible to move ahead." 3rd on the stage and 4th overall, Remco Evenepoel (Deceuninck - Quick-Step): "It’s never too early to win, it can only be too late. I am very happy that a teammate won today, otherwise I would have been very angry with myself. To lose for just hundreds of a second is never nice, but I can live with being third. I rode a strong race, but I pushed too hard in the front wind and this cost me in the end. It was a mistake, but on the other hand I came here to gain experience and this ITT is something from which I will learn a lot. We are here to support Julian and we will try to help him keep the jersey as much as possible. It would be nice to win the overall, but it’s still a long way to go until Sunday. Nevertheless, we are prepared and motivated to give everything." 10. Oscar Sevilla (Spa) Medellin at 0:31. 10. Simone Consonni (Ita) UAE Team Emirates at 0:44. Fernando Gaviria (UAE Team Emirates) won Stage 4 of the Vuelta a San Juan, the longest stage of the Argentine stage race, on Wednesday. The stage finished with a bunch sprint with Peter Sagan (Bora-Hansgrohe) in second place and Álvaro José Hodeg (Deceuninck - Quick-Step) in third. Julian Alaphilippe (Deceuninck - Quick-Step) finished with the peloton to keep the leader's white jersey by 8 seconds on Gaviria. Daniel Zamora (Agrupacion Virgen De Fatima) had set his sights on the KOM jersey and made the break after 10 kilometers and was joined by César Paredes (Medellin), Facundo Cattapán (Municipalidad de Rawson Somos Todos), Ricardo Paredes (Chile), Royner Navarro (Peru) and Robert Méndez (Uruguay) and at one time had a lead of more than 8 minutes. In the Ischigualasto state park, also called the Moon Valley for its lunar landscape, had three climbs, a Cat 3 and two Cat 1. Zamora, who was second in the mountains classification at the start of the day, took all three climbs to end the day with 30 points to the 18 of Cesar Paredes. By the third climb there was only Zamora, César Paredes and Royner Navarro off the front. With 80 downhill kilometers to the finish in Villa San Agustín the leading group was bound to be caught. 3 K out and the race was all together. 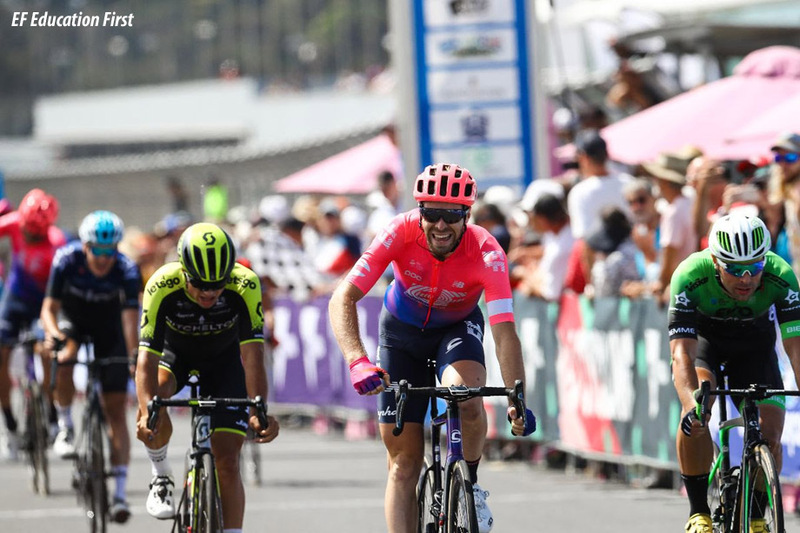 In the battle for the win, Fernando Gaviria was led-out by teammate Simone Consonni for his second stage win ahead of Sagan and Hodeg with Alaphilippe at the same time in 52nd place. Stage winner and 2nd overall, Fernando Gaviria (UAE Team Emirates): "It’s great to win a second time here, paying back the work of the team who fought those other teams and helped me for the sprint finish. Thanks to my team-mates for their support. It was a high level sprint, against serious rivals like Sagan and Hodeg. The team was perfect in the approach of the last curve, then Consonni was very good at launching me. It was a special stage, because here one year ago I went home in an ambulance. I will try to enjoy the rest day and then we will see what happens on the stage to Alto Colorado. I’ll try to hold on, the general classification is difficult but I’ll try. Much will depend on my legs on the climb, but I’m only eight seconds from the leader so I’m going to push as much as possible." 2nd on the stage and 5th overall, Peter Sagan (Bora-Hansgrohe): "We had another long stage at the Vuelta a San Juan and it was a bit warmer than forecast. The stage played out as expected, with a fast bunch sprint to the finish. We worked well in the last kilometers and after the last turn, I got into the final straight in the front. I had the legs today, I went at full speed but it wasn't enough and I missed the victory at the finish line." 10. Ricardo Escuela (Arg) A.C.A Virgen de Fatima. Dan McLay delivered the first victory of the season for EF Education First Pro Cycling Team on the opening stage of Jayco Herald Sun Tour. The six-day Australian stage race began with 22 laps around the Phillip Island Moto GP circuit. McLay held off Kristoffer Halvorsen (Sky) and Wouter Wippert (EvoPro) to climb to the top step of the podium. With the stage win came the yellow race leader’s jersey. Jimmy Whelan was the first to show the team colors on the 97-kilometer stage. The rookie forced clear in a three-rider escape during the opening hour of the race. When it was time to ride, Whelan was again put to work. With one lap left to race, the race was back together and the peloton readied for a bunch sprint. The Jayco Herald Sun Tour continues on Thursday (Wednesday in United States), with a 127 kilometer stage that includes a category one climb that tops out 12 kilometers from the race finish in Churchill. Young Belgian, Remco Evenepoel, started his first professional race on Sunday; the Vuelta a San Juan in Argentina. "It was quite calm compared to races in the juniors," he said to Het Nieuwsblad. "After only fifteen kilometers I could only just avoid a crash," said the junior World champion. "Well, now I have also experienced that. I think I can now say that I can really ride in a peloton." Evenepoel had advice from his teammates and also from Peter Sagan. "He said I was good at being aware. That is motivating for the coming days," Evenepoel is pleased with the compliment of the multiple world champion. Evenepoel's Deceuninck - Quick-Step teammate, Alvaro José Hodeg was 5th after the team led him out. 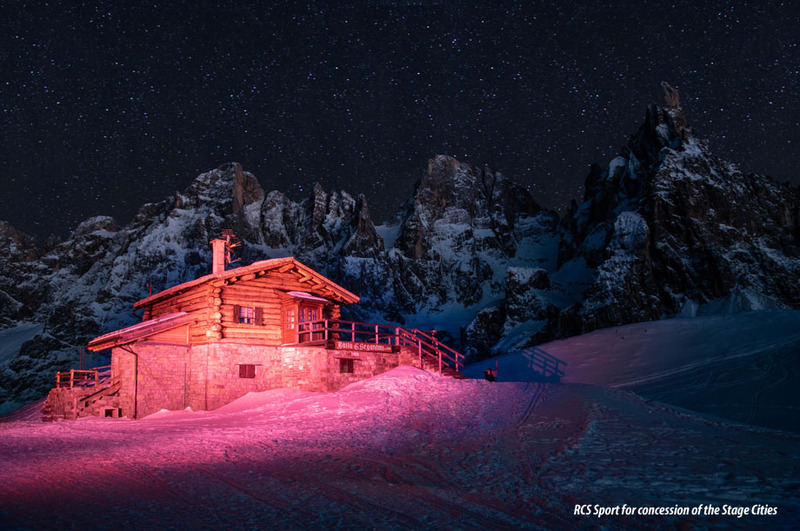 "We went for a sprint, and we succeeded. We did not win, but there are still opportunities. The most important thing for me is that I feel good and hopefully not get sick." The first European races will take place on the Spanish Island of Mallorca from Thursday 31 January till Sunday 3 February. 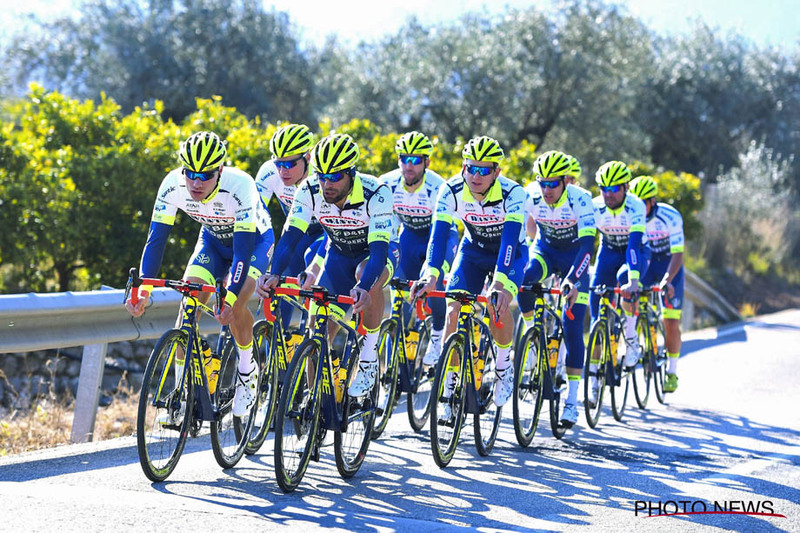 The Challenge Mallorca consists of four individual races, the so-called Trofeos. Herman Frison, sports director of Lotto Soudal, discusses the renewed course and explains the team’s ambitions. Sander Armée, Frederik Frison, Rasmus Byriel Iversen, Maxime Monfort, Brian Van Goethem, Tim Wellens and Enzo Wouters. Sander Armée, Frederik Frison, Bjorg Lambrecht, Maxime Monfort, Lawrence Naesen, Harm Vanhoucke and Tim Wellens. Sander Armée, Bjorg Lambrecht, Maxime Monfort, Lawrence Naesen, Brian van Goethem, Harm Vanhoucke and Tim Wellens. Jasper De Buyst, Frederik Frison, Rasmus Byriel Iversen, Bjorg Lambrecht, Lawrence Naesen, Brian van Goethem and Enzo Wouters. Aru, Rui Costa, Kristoff & Martin ready for their season debut. Fabio Aru (Italy), Alexander Kristoff (Norway), Vegard Stake Laengen (Norway), Marco Marcato (Italy), Yousif Mirza (UAE), Manuele Mori (Italy), Rui Costa (Portugal). Kristian Durasek (Croatia), Alexander Kristoff (Norway), Vegard Stake Laengen (Norway), Daniel Martin (Ireland), Simone Petilli (Italy), Edward Ravasi (Italy), Aleksandr Riabushenko (Byelorussia). Fabio Aru (Italy), Kristian Durasek (Croatia), Daniel Martin (Ireland), Yousif Mirza (UAE), Simone Petilli (Italy), Edward Ravasi (Italy), Aleksandr Riabushenko (Byelorussia). Kristian Durasek (Croatia), Alexander Kristoff (Norway), Vegard Stake Laengen (Norway), Marco Marcato (Italy), Manuele Mori (Italy), Rui Costa (Portugal). "The Challenge Mallorca takes a certain importance given that we have 12 riders heading there," said Marzano. "We have to see how the four days go and see on the road at what point we are in our training from the winter and not focus too much on results in the race." "The 12 cyclists will rotate in the races, with five riders not competing each day but training under the guidance of our coaches. On top of that, we have the testing day on the velodrome. We are sure that this Mallorca trip will help us in our overall 2019 plan." 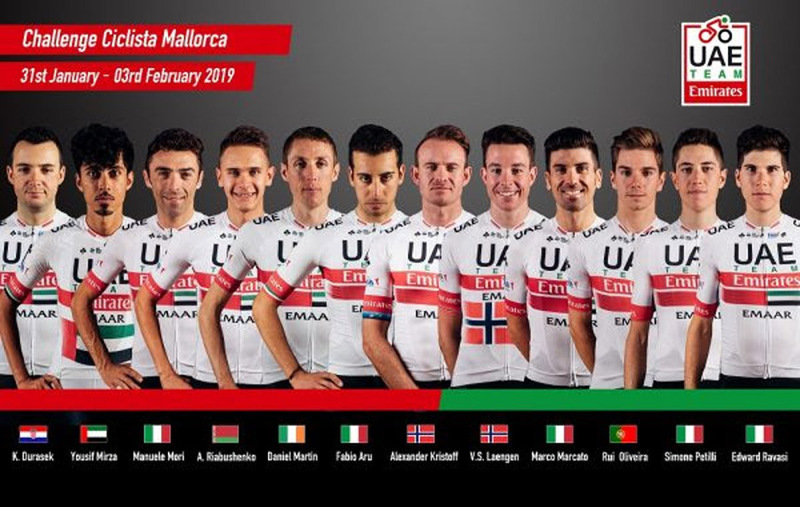 Looking to keep their tans from a sun-filled training camp in LA, the men of Rally UHC Cycling head to Mallorca, Spain to tackle the 22nd Challenge Mallorca. This unique race is comprised of four UCI 1.1 one-day races, running from January 31st through February 3rd and totaling 649 km. 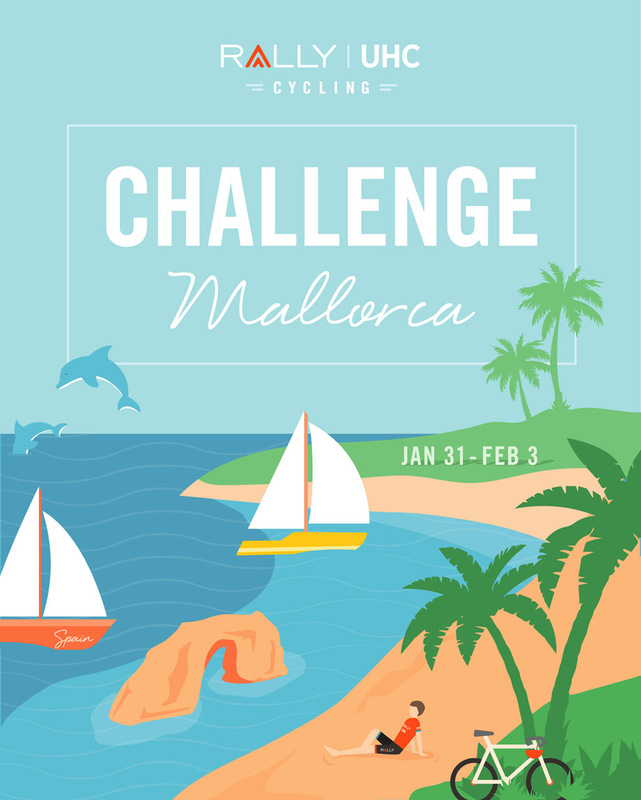 Taking place on the largest of Spain’s Balearic Islands, Challenge Mallorca passes through dozens of municipalities throughout Mallorca until its sprint finale in Palma on February 3rd. Rob Britton, Brandon McNulty, Ty Magner, John Murphy, Pier-André Coté, Ryan Anderson, Gavin Mannion, Adam de Vos, and Evan Huffman will toe the line for the team. On Thursday Wanty-Gobert will take on its road campaign 2019. After a twelve-day training camp in Alfaz del Pi (Spain), almost the entire squad will line-up in the two upcoming races. The defending champion of the UCI Europe Tour starts on Thursday at the Trofeo Ses Salines (1.1), the first race of the Challenge Mallorca. Afterwards three more races will take place on the largest Spanish Island. Sports director Steven De Neef counts on a strong twelve-rider selection, of which 7 riders participate per race. On Sunday another part of the team will appear at the start of the traditional opener of the French road season, the Grand Prix La Marseillaise (1.1) under the sporting direction of Jean-Marc Rossignon. In 2018 our Norwegian Odd Eiking immediately started with a strong 2nd place. Sports director Hilaire Van der Schueren looks back on the training camp and gives a preview of the first races. Hilaire Van der Schueren (sports director): "We were able to finish a very fruitful training camp in Spain. After a few years in Benidorm this year we chose the nearby Alfaz del Pi as a base. It was not too warm, but the rain stayed away and the boys were able to do their training in good conditions. I am satisfied with what I have seen. " "Samuel Bellenoue, the new head of performance, had worked out a great structure together with Fré Veuchelen. There was a solid variation in the training this year, with specific exercises for every rider. We as well worked on time trials. The positions were optimized and the purpose for the riders is to build on that throughout the year. " "We designed a well-filled program in February. It was not easy to get the right to start in all these races, but I am proud of what we have achieved. It is crucial that all our 21 riders get to race in February with an eye on the rest of the season. They need to stack race kilometers. But I am hopeful as well that results will follow soon." "We have seen that Guillaume Martin gave a strong impression on training camp. In Majorca some tough races are waiting that should suit him. We surrounded Guillaume with a strong team to guide him to the foot of the final climb. Xandro Meurisse is part of that team. We expect him to grow form towards Volta Algarve. In the more flat stages we count on Timothy Dupont in Mallorca, assisted by Andrea Pasqualon, Boris Vallée and neo-pro Alfdan De Decker." "Loïc Vliegen is our leader in Marseillaise. It is clear that he is in a more than decent form, but there are more riders than just Loïc. Aimé De Gendt, Tom Devriendt and Yoann Offredo can also take on that course. And Odd Eiking finished second last year right away. We start in the South France with a strong team in the width. Thomas Degand then again should be able to achieve a nice final GC in Étoile de Bessèges." Frederik Backaert, Odd Eiking, Fabien Doubey, Guillaume Martin, Xandro Meurisse, Boris Vallée, Kévin Van Melsen. Frederik Backaert, Timothy Dupont, Wesley Kreder, Guillaume Martin, Xandro Meurisse, Marco Minnaard, Andrea Pasqualon. Ludwig De Winter, Fabien Doubey, Wesley Kreder, Guillaume Martin, Marco Minnaard, Xandro Meurisse, Kévin Van Melsen. Frederik Backaert, Alfdan De Decker, Ludwig De Winter, Timothy Dupont, Wesley Kreder, Andrea Pasqualon, Boris Vallée. Aimé De Gendt, Thomas Degand, Tom Devriendt, Odd Eiking, Yoann Offredo, Pieter Vanspeybrouck, Loïc Vliegen. With all the 18 WorldTeams at the start, some of the best riders on the planet are expecting to fly to the Emirates. Chris Froome, Vincenzo Nibali, Tom Dumoulin, Alejandro Valverde, Rohan Dennis, Elia Viviani and Marcel Kittel are confirmed to race but other big names are also likely to attend, including Richie Porte, Michał Kwiatkowski, Wilco Kelderman, Remco Evenepoel, Primoz Roglic, Caleb Ewan and the UAE Emirates duo Fernando Gaviria and Alexander Kristoff. The inaugural UAE Tour – the only Middle East event on UCI’s WorldTour calendar – will boast an enviable line-up of cycling’s top superstars as all 18 UCI World Teams have committed their best riders to the seven-day race, which will be flagged off on 24 February and visit all seven emirates. Some of the world’s finest riders will compete for the glittering new trophy, including the only two current professionals to have won all three Grand Tours. Starting a UAE race for the first time, Briton Chris Froome, a six-time Grand Tour champion, will go head-to-head against his Italian rival Vincenzo Nibali, who boasts four Grand Tour titles so far. There will be two UCI Professional Continental Teams in the fray as well - American Team Novo Nordisk and the Russian Gazprom-RusVelo. 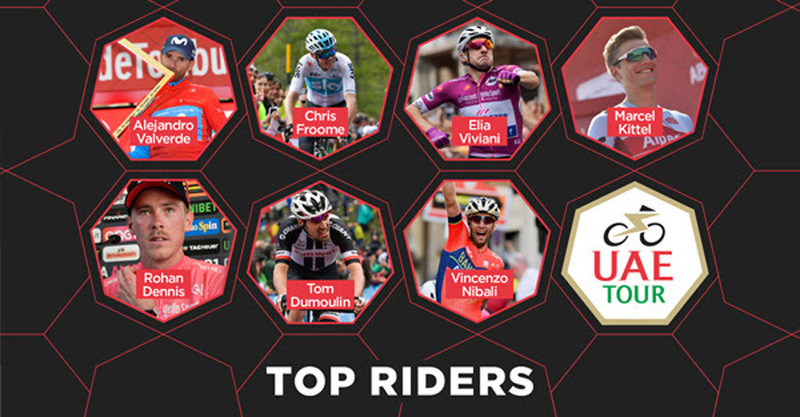 Alongside them are such famous names as the 2017 Giro d’Italia winner and former UCI World Time Trial Champion, Dutchman Tom Dumoulin; last year’s Abu Dhabi Tour winner and UCI Road World Champion, the Spaniard Alejandro Valverde; 2018’s most successful rider and Dubai Tour winner, the Italian Elia Viviani; the UCI Time Trial World Champion, Australian Rohan Dennis; and the double Dubai Tour overall champion and winner of stages at all three Grand Tours, the German sprinter Marcel Kittel. 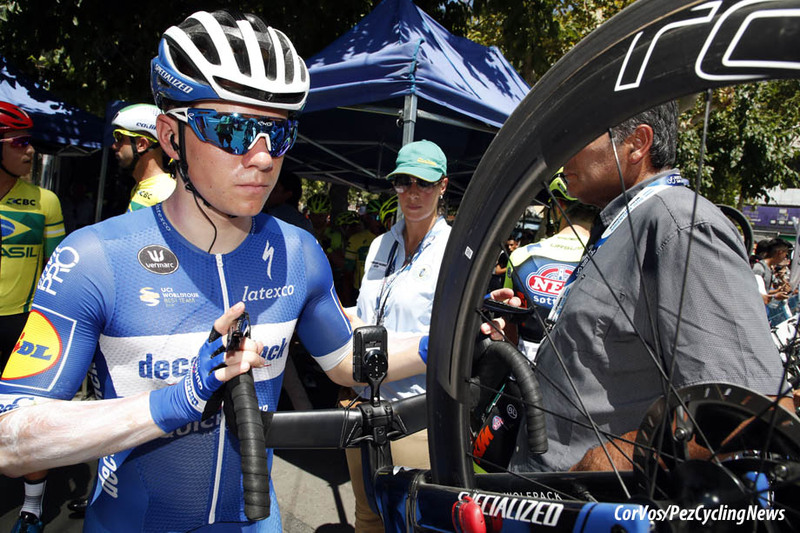 Alongside them, other big names are expected: the Australian Richie Porte, winner of the 2019 Tour Down Under “Queen stage”; UAE Emirates’ new signing, the Colombian Fernando Gaviria; the exciting neo-pro, Belgian Remco Evenepoel; the Abu Dhabi Tour and multiple Grand Tour stage winner, Australian Caleb Ewan; the Pole Michał Kwiatkowski, Dutchman Wilco Kelderman, Slovenian Primož Roglič, and the Norwegian Alexander Kristoff. Team Novo Nordisk CEO and Co-Founder Phil Southerland: "We are forever grateful for RCS's continued support in helping Team Novo Nordisk show not only the cycling industry but the entire world the real value behind our riders and organization. We raced at the Dubai Tour and Abu Dhabi Tour for the past two years and are eager to take on the new UAE Tour as it races through all seven emirates. As Team Novo Nordisk continues to invest and develop the best cyclists in the world with diabetes, we know that we have the riders and attitude to perform well at what will be a very demanding UAE Tour." Team Novo Nordisk General Manager Vassili Davidenko: "This wildcard invitation serves as a critical step forward in making 2019 a successful season and helping us show the world what is possible with diabetes. 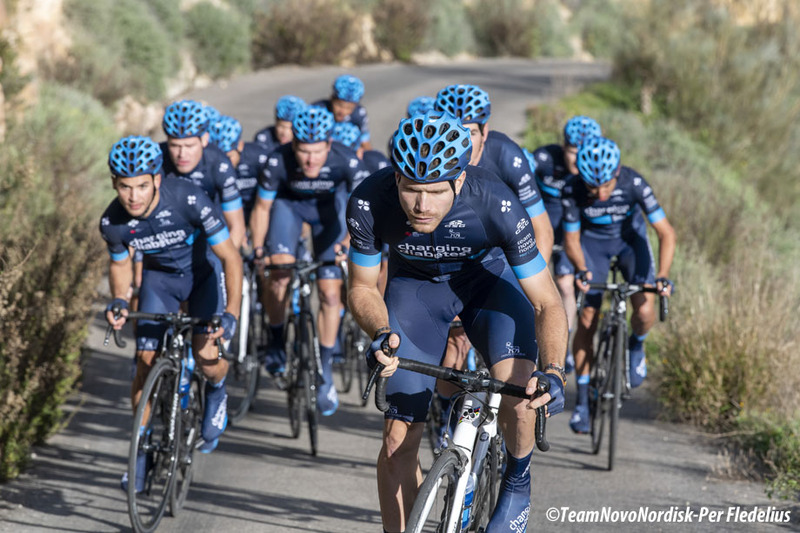 Since Team Novo Nordisk launched at the end of 2012, RCS has supported this unique project and generously invited us to its races so together we can inspire, educate and empower the 437 million people affected by diabetes. We are fresh off a strong winter off-season and are motivated to return to the UAE and place our Changing Diabetes® jersey aggressively at the front of the race." Critérium du Dauphiné 2019: See You in the Cantal! 2019 will be the year of the bicycle for the Cantal. On expressing his best wishes for the year to the sporting world, Bruno Faure, Chairman of the Cantal departmental council, announced, alongside Christian Prudhomme, Director of Cycling for Amaury Sport Organisation, and Race Director Bernard Thévenet, that the Grand Départ of the Critérium du Dauphiné 2019 will take place on Sunday 9th June in Aurillac. The 71st edition of the Critérium du Dauphiné will therefore be starting in the southwest tip of the Auvergne Rhône-Alpes region. For the first time in its history, the pack will stop over in a French department where it has not usually ventured in the past. An unprecedented route will promote special links with a region whose relief will not fail to appeal to the riders, to such an extent that it will be sponsoring the Polka Dot Jersey for the best climber. The following day, Mauriac will host the start of the second stage on the Critérium du Dauphiné. Out of the last seven editions, the winner of the race has gone on to win the Tour de France several weeks later on five occasions. Last year, the Yellow, White and Polka Dot Jersey wearers, as well as the most combative rider on the Tour de France all took part in the Critérium du Dauphiné, which makes this race an essential stepping stone for riders who want to shine on Le Tour. The entire route of the Dauphiné will be revealed on 25th March at the Auvergne Rhône-Alpes Regional Council’s headquarters. 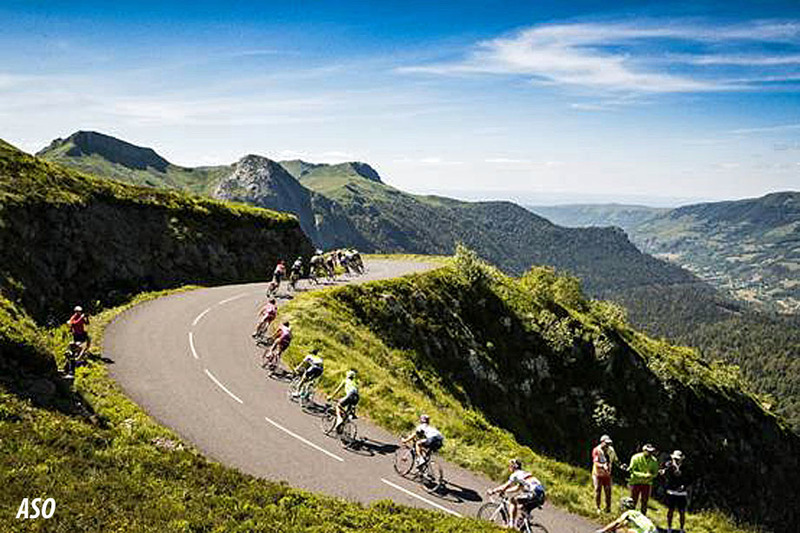 Ø For the first time, the Cantal department will be welcoming the Critérium du Dauphiné with three towns hosting stages: Aurillac, Jussac and Mauriac. Ø The 71st edition will start on Sunday 9th June with a stage contested entirely on the roads of the Cantal. In Bozen, GS Alto Garda announced the teams’ list for the 2019 edition of the Euroregional stage race (April 22-26), with the anticipated duel between the Italian’s Bahrain-Merida and Egan Bernal’s Team Sky on the way to the Giro d’Italia, and the ambitious Astana Team also looking to be in the discussion. Young Italian teams also set for a chance. After proclaiming Geraint Thomas in 2017, launching him towards the Tour de France glory a year later, and after uplifting Thibaut Pinot’s career in a 2018 season that the Frenchman would end lifting Il Lombardia’s trophy, the 2019 Tour of the Alps wishes to confirm itself as an ideal springnboard for the top contenders for Giro d’Italia’s Maglia Rosa. In that sense, the 2.HC Euroregional stage race, to be run over five stages (April 22-26) from Kufstein to Bozen/Bolzano, has a remarkable track record, as lastly confirmed by Chris Froome, who in 2018 chose the Tour of the Alps (finished in 4th place) to refine his condition on the way to a memorable Giro d’Italia display, with the extraordinary feat performed on the Colle delle Finestre and the 80-km solo move that would earn him the pink jersey in Rome. This time it could be Vincenzo Nibali’s turn. The Italian leader of Bahrain Merida is set to line up among the Tour of the Alps stars, with the ambition of repeating Froome’s path toward his main goal for the 2019 season: winning his third Giro d’Italia. In the year of the Shark’s first Maglia Rosa, 2013, Nibali was coming off a resounding success at the Giro del Trentino, the long-time race whose baton has been picked up by the Tour of the Alps. Again in 2016, Vincenzo had chosen Giro del Trentino for the last tune up before his second Giro d’Italia crown. On top of it, it was Trentino again that saw Nibali wear the Italian National Champion’s jersey at Trofeo Melinda, just weeks before his winning campaign at the Tour de France. 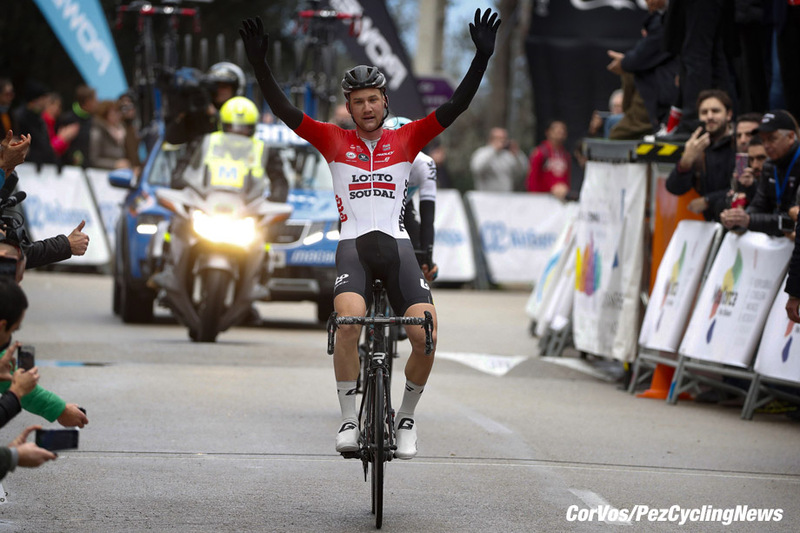 The Tour of the Alps has announced the list of the teams for the 2019 edition on Tuesday, January 29th, in a press conference at the Free University of Bozen, the city where the Euroregional race will live its grand finale on April 26th. 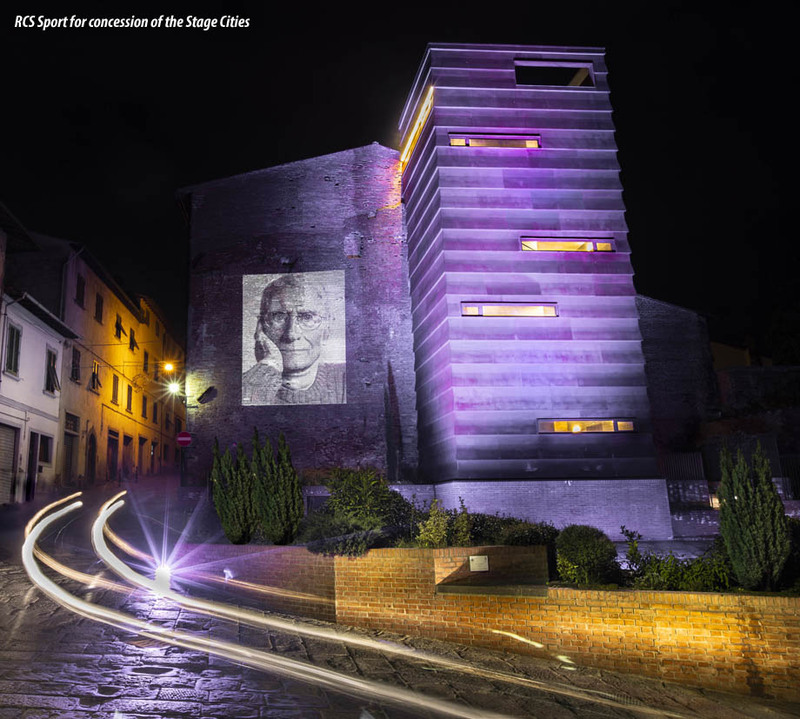 Taking part in the event, along with GS Alto Garda President Giacomo Santini, were the Pro-Rector of the Free University of Bozen, Johann Gamper, the President of Bolzano’s FCI Committee Nino Lazzarotto, Helmuth Zanotti, Product Management at IDM Südtirol, Luca Marrollo of Tirol Werbung, the representatives of the Südtirol stage cities - Cornelia Reiterer of Schenna’s Tourism Board, the Mayor of Salurn Roland Lazzeri, the Director of Kaltern’s Tourism Board Sarah Filippi, the President of Bozen’s Tourism Board Paolo Pavan – and the second lieutenant of Bolzano’s City Police Roberto Tinaglia. Topping the list, along with Vincenzo Nibali’s Bahrain Merida, is Team Sky, the British super team that carries an impressive track record in this race. Barring program changes, this time the leading grades should go to Egan Bernal, the Colombian prospect Team Sky is looking to back for a Giro d’Italia pursuit, after winning the Tour of California in 2018. After netting three stage wins in 2018, Team Astana is set to be a prominent presence yet again: designated leader for the Giro d’Italia, Miguel Angel Lopez has elected the Tour of the Alps as ideal dress rehearsal. Anyway, with his fiancè expecting a baby and a due date close to Kufstein’s start, the Colombian might have to review his plans. For his part, Spaniard Pello Bilbao, winner of last year’s stage 1 in Folgaria, is certain not to miss the appointment with another TotA start. Carrying ambitions will be also two more World Teams, German Bora-Hansgrohe – led by Pole Rafal Majka – and French AG2R-La Mondiale. 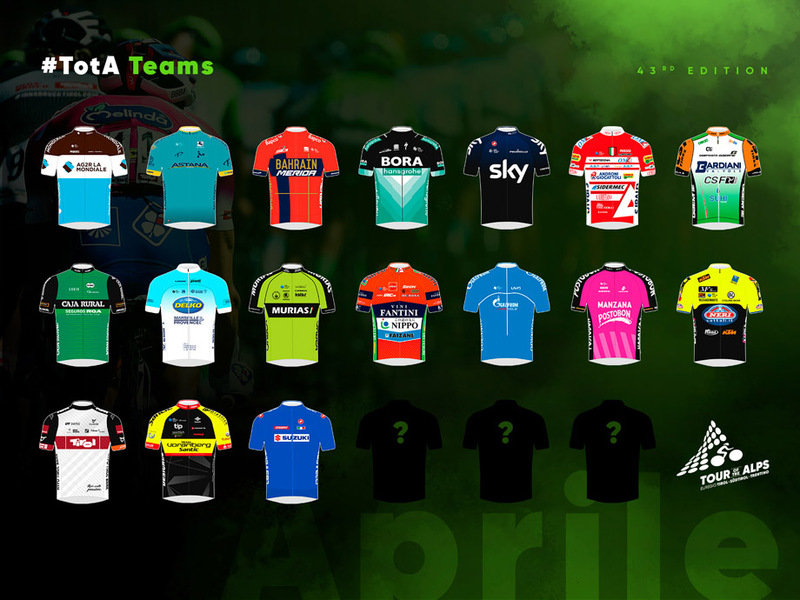 No less than nine Professional Continental outfits will be looking to bring the battle, starting with freshly appointed Giro d’Italia wild cards Androni-Sidermec, Bardiani-CSF and Nippo-Fantini-Faizanè, joined by fellow Italian team Neri-Selle Italia-KTM. Spain will be represented by two teams, the Euskadi-Murias of Oscar Rodriguez (best climber at 2018 TotA and stage winner at the Vuelta a España) and two-time Giro d’Italia stage winner Benat Intxausti, and Caja Rural-Seguros RGA. French Delko-Marseille-Provence is also part of the list, counting on Italians Mauro Finetto, Iuri Filosi and Alessandro Fedeli, as are Russian Gazprom-Rusvelo, and the Colombian climbers of Manzana-Postobon. Two Austrian continental teams, Tirol Cycling Team and Vorarlberg-Samsic, will also be at the start, as well as the Italian National Team directed by Davide Cassani. Three more spots are to be filled, and the organizers will disclose the final names over the next few days, to complete the list of 20. In line for the final nods are another World Tour team, still having to provide a final confirmation, as well as young Italian Continental teams longing for a greater challenge at the highest technical and spectacular level that the Tour of the Alps is known to guarantee. 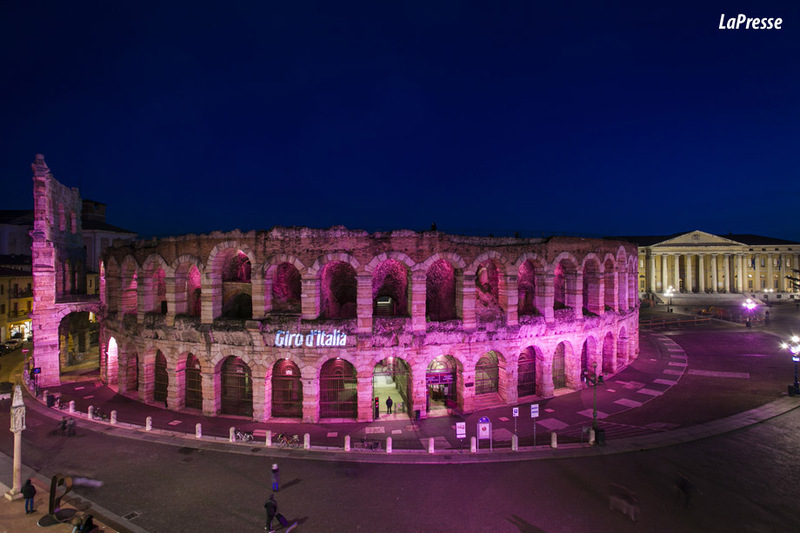 With exactly 102 days to go to the start of the 102nd edition of the Giro d’Italia, the host cities celebrate their link with the Corsa Rosa by illuminating their landmarks in pink, including important squares, monuments, roads and special locations. 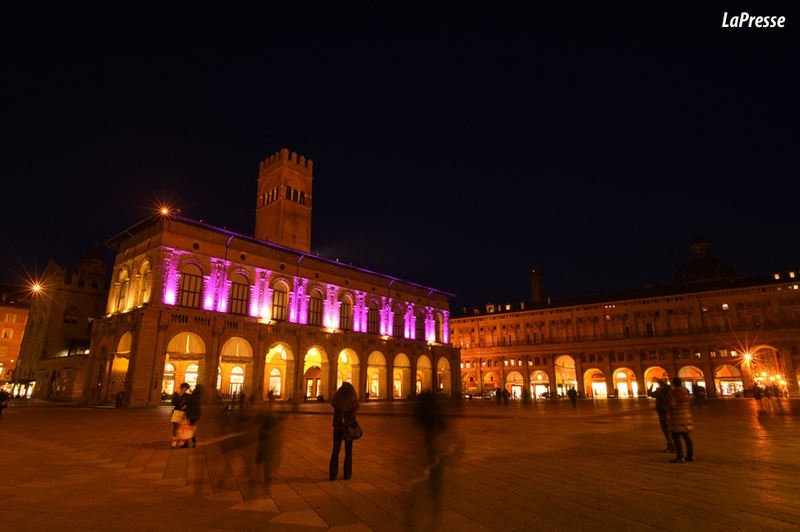 The Giro d’Italia, organized by RCS Sport/La Gazzetta dello Sport, will start from the Region of Emilia Romagna (Bologna) on 11 May and finish in the Verona Arena on 2 June. 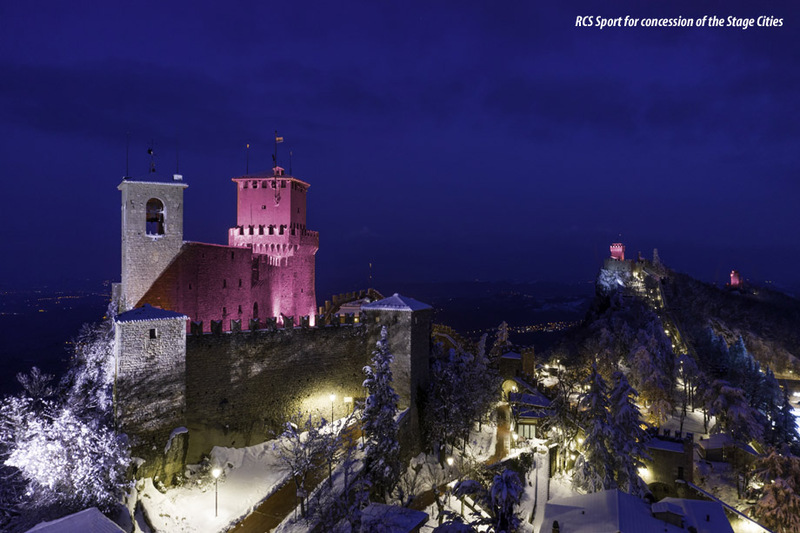 This edition of the Corsa Rosa will be raced almost entirely in Italy, crossing the border only for one stage finish in the Republic of San Marino. Team Dimension Data for Qhubeka is excited to bring you a new content offering which aims to further enhance the way our supporters can engage with the team: the ‘UnClipped’ podcast. The series will hone in on some of the sport’s big talking points; from a rider’s, staff member or partner’s perspective – offering unique insights and access in a way that hasn’t been widely available in the peloton before. The opening episode of the series features Bernhard Eisel, one of the cycling’s most recognizable voices. In the episode he talks candidly about, among other things: his ambition as a young rider, the sacrifices he subsequently had to learn to make for others, the advent of “modern cycling” and reform proposals that could change the sport. Plus, the impact that Sky’s withdrawal after 2019 will have on the peloton. We look forward to sharing this exciting news with you, please share and review the series and also be sure to send us your feedback. You can download the series from your preferred podcast app including: iTunes, Spotify & Omny. ‘UnClipped’ was chosen as the series title for a number of reasons using the iconic toe clip as the perfect representation of what the series hopes to achieve. The toe clip firstly reminds us about the rich history of the sport as well as being a visual metaphor related to being off the bike and having a conversation. It also reflects the intended unscripted candor of the content while also mirroring the innovation and technological advantages so important to our team. Plus, ‘old school’ is simply cool.